I turn now to the history of the Manor House, or Thundersley Hall (the names seem to have been interchangeable throughout its history). It is a remarkable survivor from Tudor times in this crowded corner of the south-east. Our history has survived in ‘nuggets’, whether old properties or ancient woodland; we still have a few, but you have to look for them. 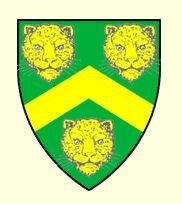 The lands of Thundersley Manor were held by Godric in 1066/1067 as Thegn of Edward the Confessor. The Manor seems to have always been in the hands of the Crown, and leased to favourites and courtiers. In 1068 the ‘Suen’ (Sweyne) family, who were wealthy landowners in the Rayleigh area, were granted the Manor of Thundersley by William I, ‘until the disgrace of Suen’s grandson, Henry of Essex, who forfeited the Manor due to cowardice in battle’. It then reverted to the Crown, as royal parkland (hunting grounds). These lands had long been popular for hunting as wildlife proliferated on the wooded plains and ridges, and King John (reigned 1199 – 1216) in particular used to hunt in Thundersley. 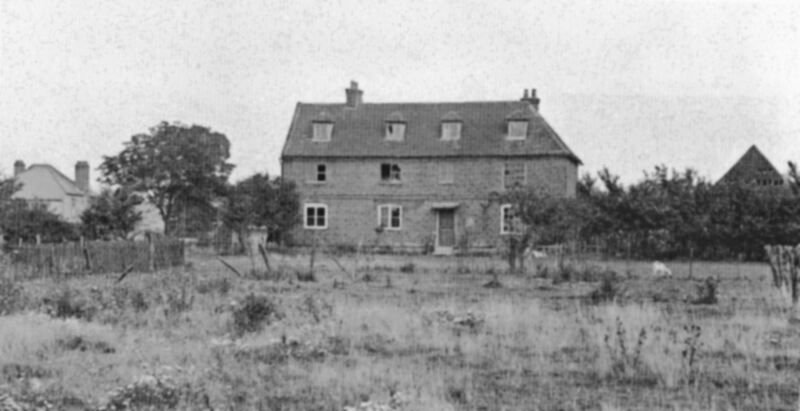 The hunting lodges were Jarvis Hall (probably what is now the old barn), and King John’s palace, the site of which is thought to be down Kingston Way. The Timms’ notes state that in 1154, the Manor was given by Henry II to Ralf Fitzbarnard, and stayed in the Fitzbarnard family until it was sold to Bartholomew de Baddowe in 1313. 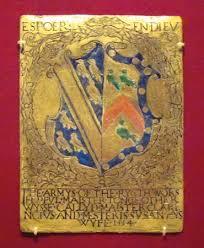 Baddowe gave the Manor to Edward II; in 1329 Edward III gave the lands to John le Sturmy. The lands were returned to Edward III in 1361 and according to the Timms family notes, ‘remained in royal ownership until Henry VIII gave the Manor to William Parr in 1541 on creating him Earl of Essex’. However, I have discovered a document granting the land to William Parr which mentions that the manor was, ‘in the King’s hands by the attainder of Thomas Cromwell, late Earl of Essex’. Thomas Cromwell must have owned it for a matter of three months, because he was created Earl of Essex on 18th April 1540, and executed on the 28th July 1540. 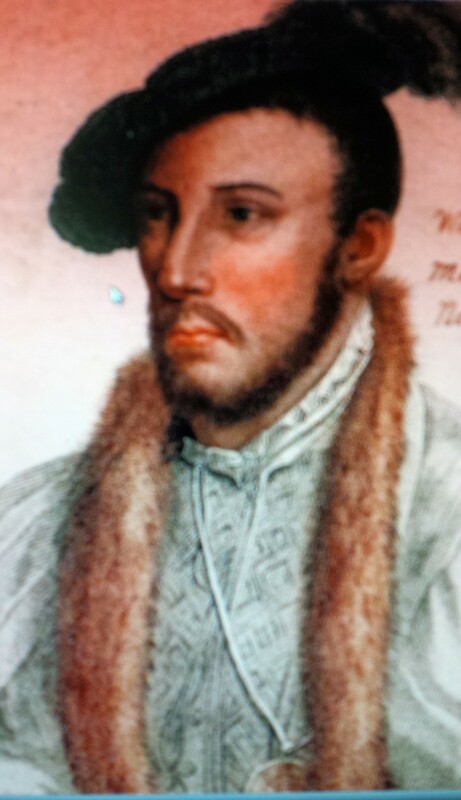 William Parr was Marquess of Northampton, and Earl of Essex. He was also the brother of Queen Consort Catherine Parr, the sixth and final wife of Henry VIII. William Parr cut down and sold the trees on the land for use in building ships for the Royal Navy. Perhaps an earlier Manor House was built in this decade of the sixteenth century, when the land was ‘disparked’ (the trees were cleared), as the date of the current Manor House is not known for sure, it is shown as c.1600 on the Grade II Listing. William Parr was implicated in the plot to put Lady Jane Grey on the throne after the death of Edward VI in 1553, and was sentenced to death in the August, by Mary I when she ascended to the throne. This, however, was not carried out, and he was released in the autumn stripped of his land and titles. In 1553, Mary gave the Manor of Thundersley to her First Lady of the Bedchamber, Susan Tonge, ‘who was the youngest daughter of Richard White of Hutton and Maud Tyrell, the daughter of Sir William Tyrell of Herongate, Essex’. Susan’s family were a cadet branch of the White family of South Warnborough in Hampshire, and they were also related by marriage to Sir William Petre of Ingatestone Hall, Essex. Susan had married Thomas Tonge circa 1534, who on 2nd June 1534 became Clarenceux King of Arms (an Officer of the College of Arms in London). Thomas died in March 1536, naming Susan his sole executor and leaving her the residue of his Estate. After Mary’s death in 1558, Susan emigrated to Spain, and the Manor passed to her nephew, George White of Hutton. He, in turn, passed it to his son Richard, who sold the Manor House to Sir Francis Fytche (born c.1563) of Little Canfield, Essex in April 1595. I suspect that it is his emblem which now graces the external rafters of the Hall. Sir Francis Fytche sold Thundersley Hall to Richard Wiseman probably in 1619. Sir Francis Fytche was married to Margaret Tyrell. The Fytche and Wiseman families also seem to have been connected by marriage, although this I cannot substantiate. Richard Wiseman (senior) was created Baron on 18th December 1628 and died in 1643. Sir Richard Wiseman’s son, also called Richard was probably illegitimate because the baronetcy became extinct after his father’s death. The younger Wiseman is a fascinating character. 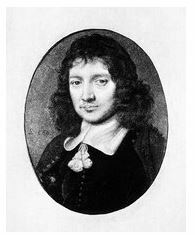 He followed a medical career, and became personal physician and surgeon to the young Charles II during the English Civil War, following him into exile, and returning from exile with him in 1660. Richard Wiseman’s books, ‘A Treatise of Wounds’ (London 1672), and ‘Severall Chirurgical Treatises’ (London 1676) were seen as landmarks in English surgery. His only child was a posthumous son, who was buried near his father in November 1678. The Timms say in their notes,that it is possibly in these days that the priest hole/secret tunnel at the Manor was built. Hearsay has it that it is the start of a secret passage to the church, although this cannot be traced. I have another theory. The Wisemans were an Old Catholic family, as were the Fytches and the Tyrells (who were related to the Fytches, and the Petres by marriage). I then looked up information on the (now demolished) North Benfleet Hall, which White’s Directory of 1848 states, ‘passed successively to the Coggeshall, Tyrell, Wiseman, Goodwin and Wingfield families’. North Benfleet Hall is well documented to have had tunnels, (see article on Benfleet Community Archive) one of which was discovered and discarded as an ‘old drain’ when they were building the new road at Sadler’s Farm about five years ago. The priest hole/tunnel at Thundersley Hall is on the side of the building which faces straight towards Sadler’s Farm. There is a fishery now in what was the grounds of North Benfleet Hall, and the directions they give are, ‘we are one mile from Sadler’s Farm going towards Chelmsford on the A130’. If the priest hole/tunnel was supposed to go to St. Peter’s Church (which, of course, would have been Protestant, anyway) why build it on the opposite side of the Hall. Could it not be a tunnel linking the two recusant Halls for the exchange, and shelter of Priests? An interesting snapshot of the turbulent religious times after the death of King Charles II, is in the Sessions Roll I turned up for Easter 1685, when the unpopular James II was on the throne. A Richard Selfe reported the Bailiff, John Stibbert of Thundersley Hall, for saying, ‘in an alehouse in Pitsea…..that the King went openly to Mass, and he did not know but he might prove a second Mary, or words to that effect’. In 1720 Thundersley Hall was sold for £4,600 to Robert Surman. He was born c1693 and died in 1759. He was a ‘financier and banker’, and played a minor role in the ill-fated South Sea Company as a Cashier. He also bought Valentines House, Becontree, in 1724 and lived there with his family. After the South Sea Bubble, Surman had to sell everything he owned to pay his debts. He must have recovered his finances sufficiently to earn the trust of the Parish Vestry, who ‘appointed Robert Surman to be Overseer at Great Ilford Ward. Between 1721 and 1792 Thundersley Hall was owned by the Turner/Montgomerie family. George Montgomerie was born in 1712, and became MP for Ipswich He married Catherine Sawbridge in 1739, and probably took on Thundersley Hall at that time. He died in 1766. In 1792, Isaac Parmenter bought the house. He was followed by Thomas Cooch Pattisson (‘Lease for 30 years from Michaelmas 1796 of Thundersley Hall Farm (300 acres) in Thundersley and North Benfleet, late in occupation of Isaac Parmenter and now in occupation of Thomas Cooch Pattisson’. Another document I turned up on the Seax – Essex Archives online site, was Deeds from 1796 stating that a Stephen Hollowbread, Churchwarden of the Church of Thundersley (from 1768-1794), rented the 300 acre farm that went with the Manor House, to Francis Perry. The Manor seems to have gone through a period of ‘absentee Landlords’ in this period until 1848 when Charles Bosanquet of Rock Hall, Alnwick became the Lord of the Manor. He held the Manor until 1902. The Bosanquets, too, do not seem to have spent vast amounts of time here, never showing up on the Census records other than at their main seat, Rock Hall, Alnwick, Northumberland. The Manor passed through the Bosanquet family, the last being Ross Carr Bosanquet. When, in the 1870s, most of the land parted company with the Hall, in the great Robert Varty speculative land venture, the staff of the Manor were pared right back. The 1901 Census shows a small household at ‘Manor House, Manor Estate’ : George Dugall, Laundry Manager, from Suffolk; his wife Ester, from London; Harry Busch, Engineer from Germany; Emily Pratt, domestic servant, from London; John Ellis, Land Agent (previously a Welsh Preacher),from Llandegwning, Caernarvonshire; Celia Ellis his wife, from Nottingham; Maryann May, domestic servant, from Westminster, London; Samuel Jones, Caretaker, whose occupation was ‘clothier’ from Llandegwning, Caernarvonshire. Thundersley Hall was sold to the Ellisons sometime after this, and a tragic son of this family, Sapper Stanley Thomas Ellison, was the first British soldier to be killed in the First World War. His story is documented on the Benfleet Community Archive site. A photograph taken in the 1920s, shows the Hall as a sad derelict, with broken upper windows. This is backed up by local hearsay, of children playing in the derelict Hall. Comments invited please! If anyone can fill in the gaps, I would be delighted. Somehow, by 1935, it had been pulled back from the brink, and the Wade family were the owners, with the Sweet family living there as Caretakers. After Mrs. Wade’s death in 1949, the Hall again changed hands. It was sold to the Lygo family. In 2013, Thundersley Hall was bought by the Brumwell family, who have undertaken an evident labour of love to totally restore it. The Hall is circa sixteenth century and Grade II listed. Through the cellar door, I could see the brick pillars underneath the timber frame. Vanessa and David Brumwell have undertaken the gargantuan task of putting down a new floor-plate which runs the length and breadth of the cellar. Historically, there have been problems with the cellar flooding, and they always have a sturdy pump on standby. I live in Manor Cottage (originally ‘Dunromin’), a scant thirty yards away as the crow flies, and know well, how high the water table can be in this part of New Thundersley, having had a flooded garden on more than one occasion. Historically, our back garden was on the site of the Manor duck pond, and I should hazard a guess, stable block, as we have dug up horseshoes and handmade nails over the years. This area was laced with ponds, streams and storm drains which were filled in long ago, and water is never far away. According to the current owners of the Manor, there used to be a stream running through their back garden, and I wonder whether it is part of the same watercourse which used to run in the right-hand side of my garden, culminating in the duck pond. In the 1930s, land drains were dug in the area. The late George Harrington, who was my neighbour two doors down and opposite to the Manor, told me how he helped to dig them, as the land used to get so flooded. There were storm drains that were filled in the building frenzy of the late 1930s/early 1940s. The late Bernard Cooper, from 22 Manor Road, told me that he had to build up the height of the soil in his back garden, because the storm drain at the junction of Selbourne Road and London Road had been filled in. Until recent years, it was not uncommon for the traffic lights at Kents Hill Road to be out of order after heavy rain. Water has to go somewhere, despite what developers might think. Thundersley Hall still has its well, a few yards from the back door, now protected by an iron grating; the water was clearly visible just a couple of feet down. The exterior walls of the hall are now freshly painted white with the correct paint, which allows the building to ‘breathe’. The rafter ends peep beneath the roof, and there are small sculpted ‘lions’ heads’ between them which are a charming feature. These ‘lions’ heads’ may well turn out to be leopards’ heads, as the Fytche coat-of-arms is ‘Vert, a chevron between three leopards’ faces caboshed…these animals may look more like lions, but lions are almost always shown in profile, whereas these full-face images represent the standard depiction of leopards’. In the grounds, a brick-built outbuilding with a tiled roof, known as ‘the Bothy’, stands close to the Hall. It consists of two tiny rooms, that even have fireplaces, and is now used for storage. Perhaps, at some time, it was a gatekeeper’s cottage. The ground floor of the interior of the Hall is of stone, and the rooms are cool and airy. There are beams on the ceilings, but not at an oppressive height. A Gothic arch takes you from the dining room to the kitchen, snug and utility room. The rooms are spacious, with the oak frame being visible in the white walls. The reception room is grand, with lovely proportions. The Tudor fireplaces have been inset with attractive decorative cast iron Art Nouveau fireplaces, probably by the Bosanquet family in the nineteenth century. The second and third storeys have wide dark oak floorboards, and there isn’t a straight line in the place. I should say that the small attic rooms were probably servants’ quarters. All has been renovated with obvious love and care, attention to detail and respect for the history of the place. I am glad to say that, in the hands of the Brumwells, Thundersley Hall has worthy custodians who can take the old ‘hunting box’ forward into the twenty-first century as a warm, much-loved family home. Priestley, H. E. & Phillips, W. T. A History of Benfleet, Book Two, Modern Times, pub. Castle Point District Council, 1984, p.98. Hallmann, R. Thundersley and Dawes Heath, a History, pub. The Hadleigh & Thundersley Community Archive, 2015, p.14. Power, D’Arcy, Dictionary of National Biography, 1885-1900, vol. 62, pp. 247/8. www.historyhouse.co.uk/placeN/essexn06ahtml History of North Benfleet, p.1. www.valentines.org.uk (the website of Valentines Mansion and Valentines Park). They have an excellent museum there.